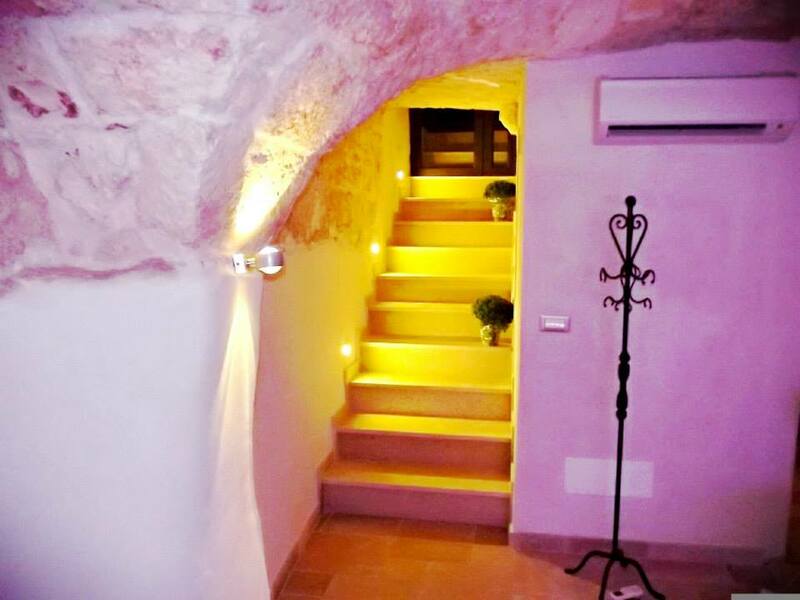 Ever dreamed of owning your own little place in the sun but thought buying a place in Ostuni would be too expensive? Then think again! Puglian Pleasures are thrilled to have this little hidden gem for sale on our site. 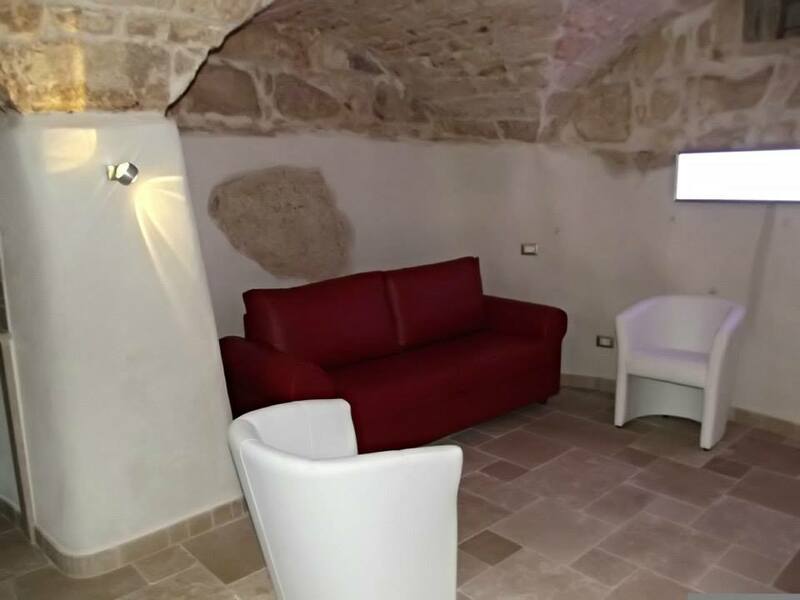 Tucked away from the main road, down a quiet little street, lies a 26mq underground studio which has been lovingly resorted to the highest quality, making use of the original antique stone walls where possible. 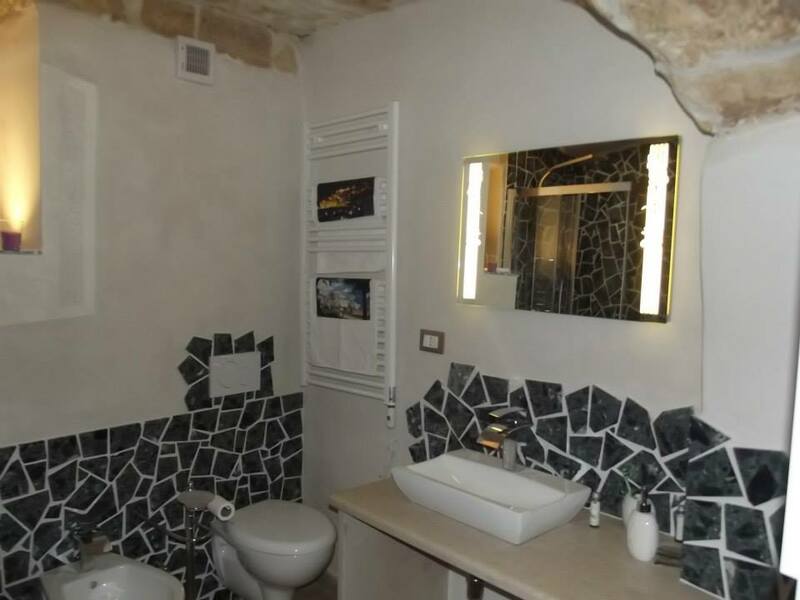 This studio comes with all the mod cons and some extra special features, like a hydro massage shower to help you unwind after a busy day sightseeing or to wash away that unwanted Puglian sand! Once inside the cavern you can escape and unwind, relax in the lounge or fix yourself a light bite to eat in the bijou kitchen. Ready for bed? The comfy sofa bed is transformed in a matter of minutes, for you to have a great nights sleep. The studio comes fully furnished and includes a 50 inch flat screen TV. There is a trendy gas heater for those cooler evenings in the winter and air conditioning for the summer months. 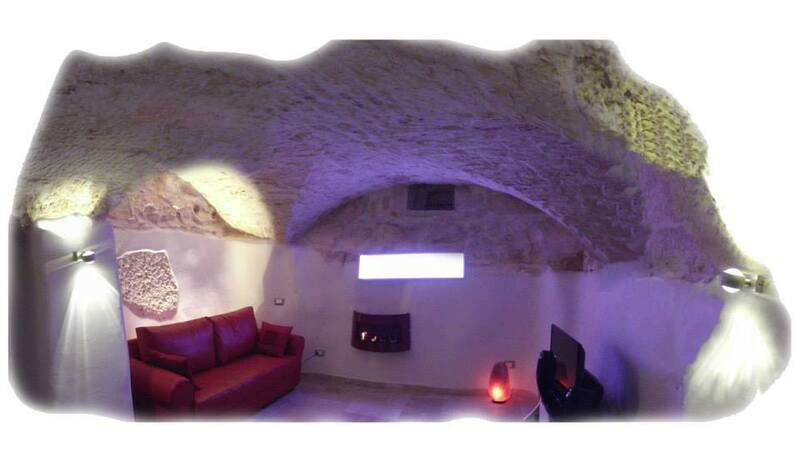 It is ideally located in the heart of Ostuni and just a short walk to the historical centre. 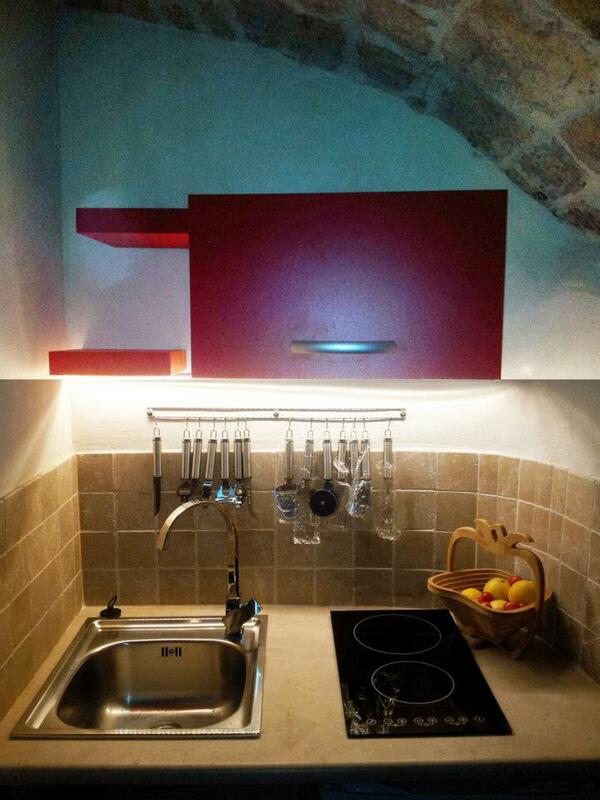 Close to all amenties; bars, restaurants, supermarkets and shops. 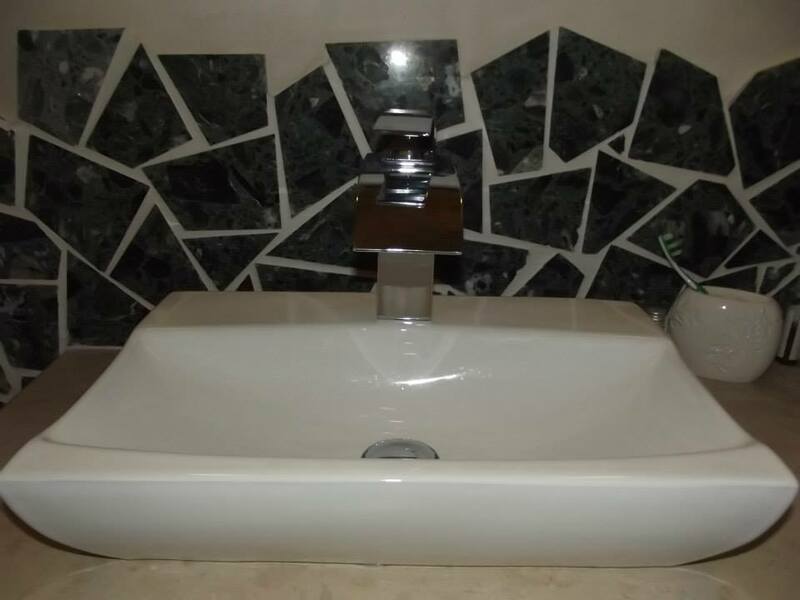 This property really is ready to go! So, what are you waiting for? Ah, yes, the price!!! Please contact us directly to arrange a viewing!